By extension, the shutdown impacted other organizations that do direct business with the federal government. As a method of cutting expenses, government contractors placed up to 800,000 employees on extended furloughs and implemented freezes on the hiring of new employees. The effects of federal agency closures has also rippled outward to affect other sectors of the economy. Vendors supplying goods and services to federal government contractors have been impacted by the cutbacks in government contractor spending and have had to tap into their cash reserves. In addition, the stock market has dipped downward and consumer spending has dropped, since consumers are more reluctant to spend their money on non-essential purchases and prefer to minimize their expenses as much as possible. In the banking industry, consumers have felt the impact with delays in mortgage loans requiring paper documentation from federal agencies. Until the stalemate ends and the shutdown crisis is finally resolved, federal projects involving big data analysis will be affected. For example, government agencies such as the Department of Labor, the Department of Commerce, the National Aeronautics and Space Administration, the National Institutes of Health and the Department of Energy commonly gather and process big data to fulfill their agency missions. These projects are temporarily halted, which will delay projects such as reports and white papers utilizing the information gained from big data. Although it is too soon to determine the full impact of the government shutdown, it appears likely that the aftereffects of temporary agency closures on government contractors and vendors will be felt for some time to come. After the shutdown ends, government contractors will still need to fulfill their federal contracts, which will require a considerable amount of “catching up” on big data initiatives from federal employees and contractors. I predict that electronic tools that simplify the collection and processing of big data will become of greater importance in the future, particularly after the shutdown is resolved by Congress and the White House. 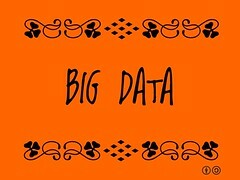 Since the knowledge obtained from big data will play an increasingly significant role in government decisions, technology that reduces the cost of gathering big data will have economic benefits to both federal agencies and government contractors.